I'd So Rather Be Reading: Book Giveaway! Are you a fan of actress Lauren Graham? I sure am. I love her in Parenthood! Did you know that she's written a novel? She has, and we're giving away two copies! 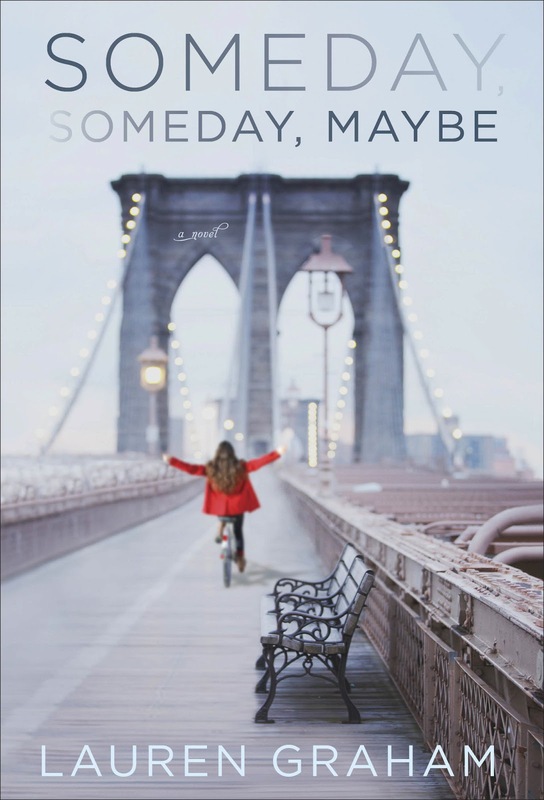 Someday, Someday, Maybe by Lauren Graham. This giveaway is open to residents of the US only. Thank you to Random House for providing this giveaway! Thanks for the chance to win a copy of this book! I love Lauren Graham...Gilmore Girls, Parenthood. She is awesome! I can't wait to read this book! I didn't find the GFC signup so I'm following with e-mail --- Hope that's okay! Thanks for offering this giveaway. I've read so many wonderful reviews and would love to check it out! What?! I love Lauren Graham. I had no idea she wrote a book. Thanks for the heads up, I just downloaded it on audible.